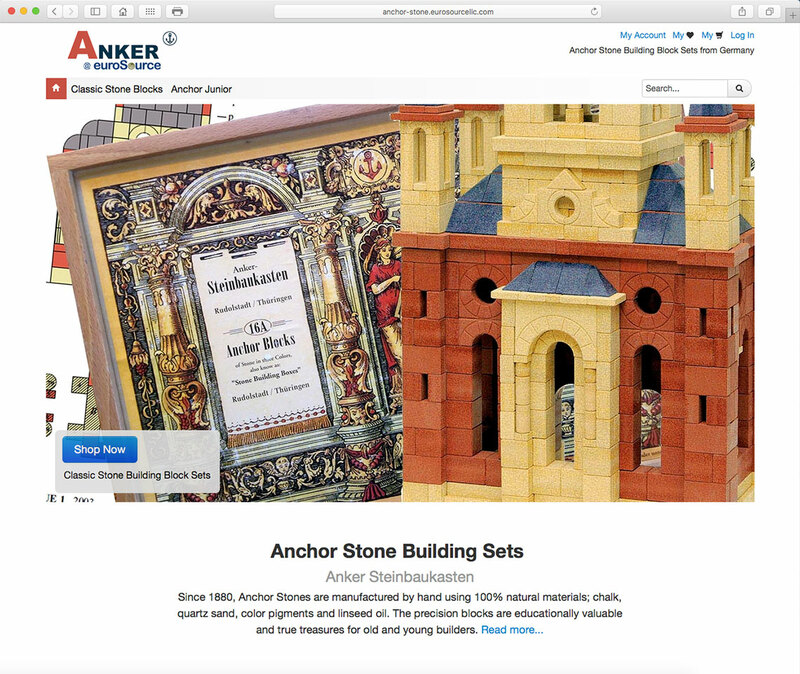 Anker Steinbaukasten (or Anchor Stone building sets) have been made in Germany since 1880. The stone building blocks are made from all natural materials; quartz sand, chalk, and linseed oil. The mixture under high pressure becomes a stone building block with precise dimensions. Anchor Stones provide a smooth and stable building environment. Anchor Stone building block sets made in Germany since 1880.